For flooring and roofing applications such as fixing carpet, underlay, insulation, plastic sheeting and securing roofing felt. 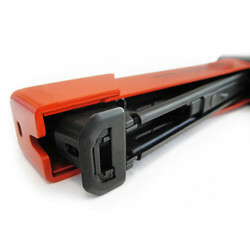 Magazine capacity of 140 type 6-12mm x 150 staples. 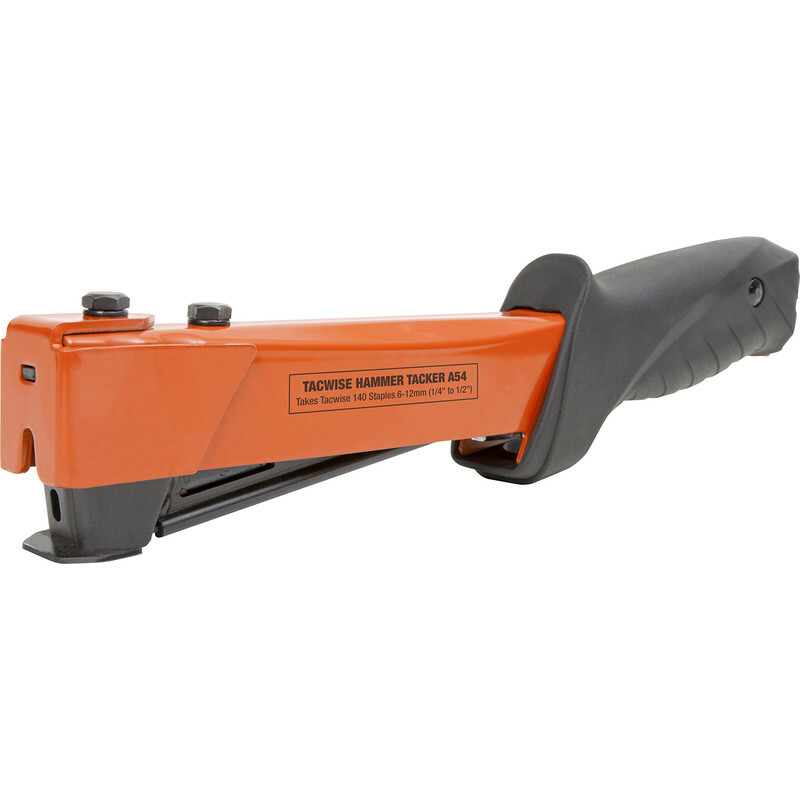 Rubberised handle grip. Uses 140 series staples 10mm 93102 , 12mm 13773 . Tacwise A54 Heavy Duty Hammer Tacker is rated 4.0 out of 5 by 1. 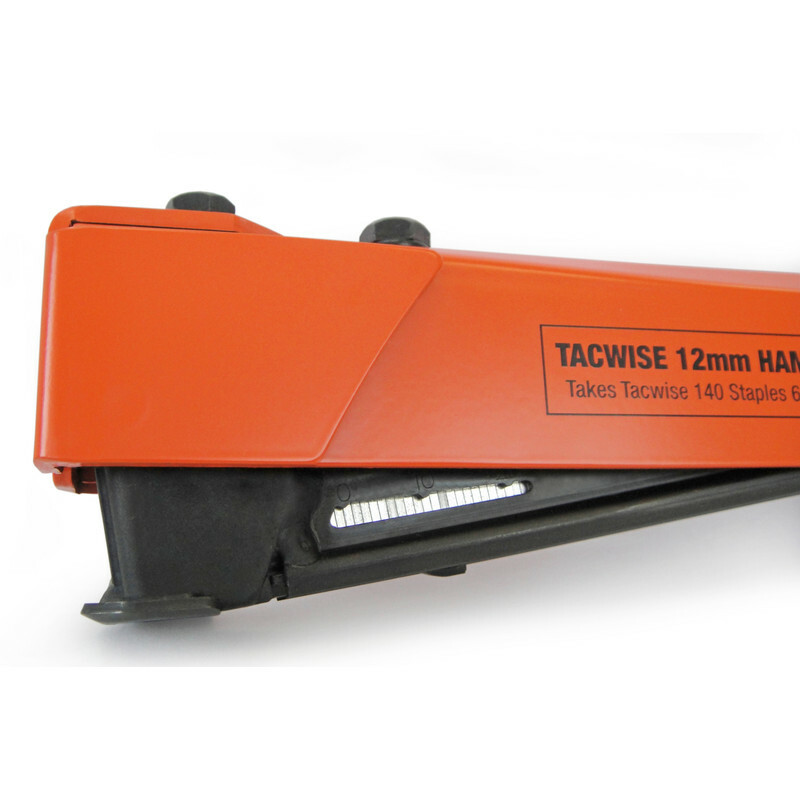 Rated 4 out of 5 by Danf1 from Solid hammer tacker Easy to reload and solid feel. Can't say much more.